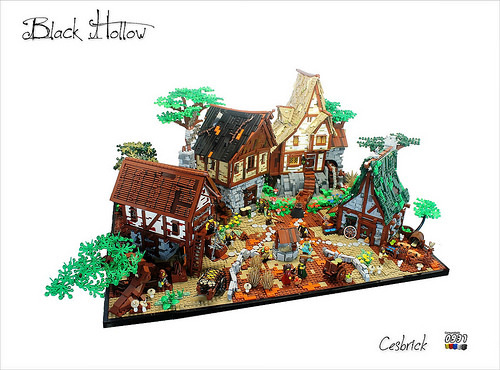 César Soares is the mastermind behind this lovely medieval village. I really like how each of the houses is distinct but fit together so well. Also, while I normally don’t like borders, it actually works really well her, as it highlights the absence of straight lines elsewhere in the build. I like it. I really do.